I was impressed with the quality. Colors were very vivid him beautiful. Matched my decor. True to the description. Shipping was fast and on time as promised. Would recommend this product. 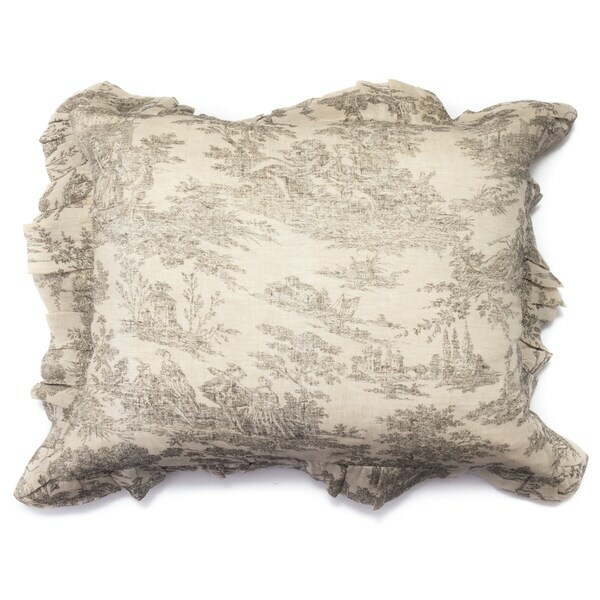 This classy natural linen sham with French toile design is the perfect accent for any bedrroom . Insert not included. Standard sham is 20x26 inches, Euro sham is 26x26 inches King sham is 20x36 inches.